Citation ONE blends innovation in home audio entertainment with a sophisticated and beautiful design. The premium blended wool fabric, made by Kvadrat, is dirt repellent and flame retardant. The Citation ONE delivers multi-room capability by adding additional Citation speakers to create the ultimate whole house audio experience. You can play the same music or different music in different rooms and control it from a tablet or smartphone. Play and control your music with your voice. Pair two Citation ONE speakers in the same room for stereo sound. 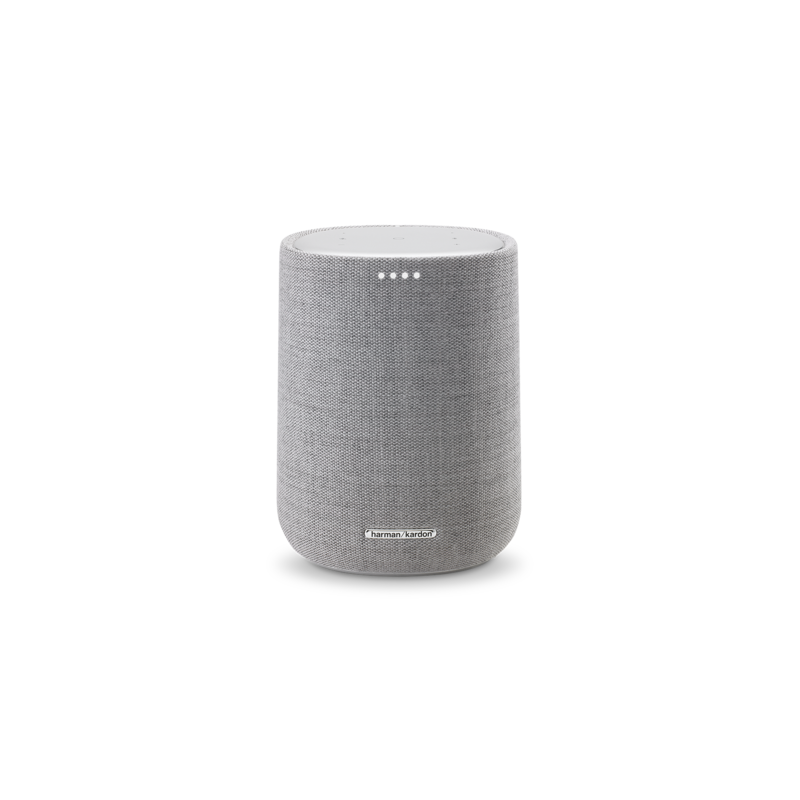 The Harman Kardon Citation ONE is a next generation smart speaker with rich sound and an all-in-one compact design. 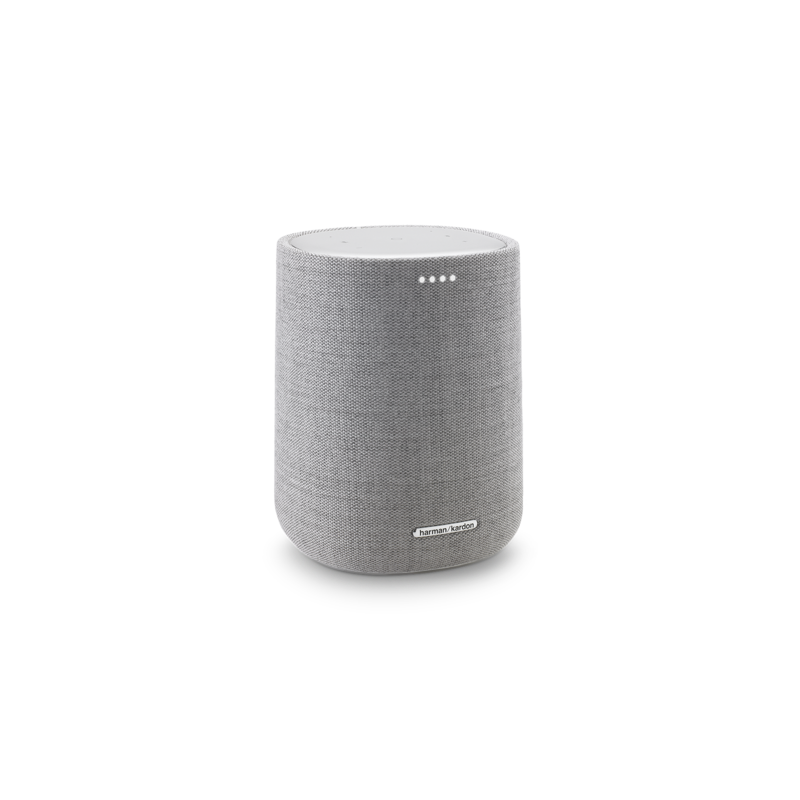 Easy to use, Citation ONE blends innovation in home audio with attention to detail in design, allowing for sophisticated looks and surprising sound in a compact design. Music lovers will love the room-filling sound and access to over 300 music services and high-definition streaming through Chromecast built-in. The Google Assistant brings convenient voice control to your Citation ONE for hands-free help around the home. Get answers, play music, organize your day, control your smart home, enjoy your entertainment and more, just with your voice! 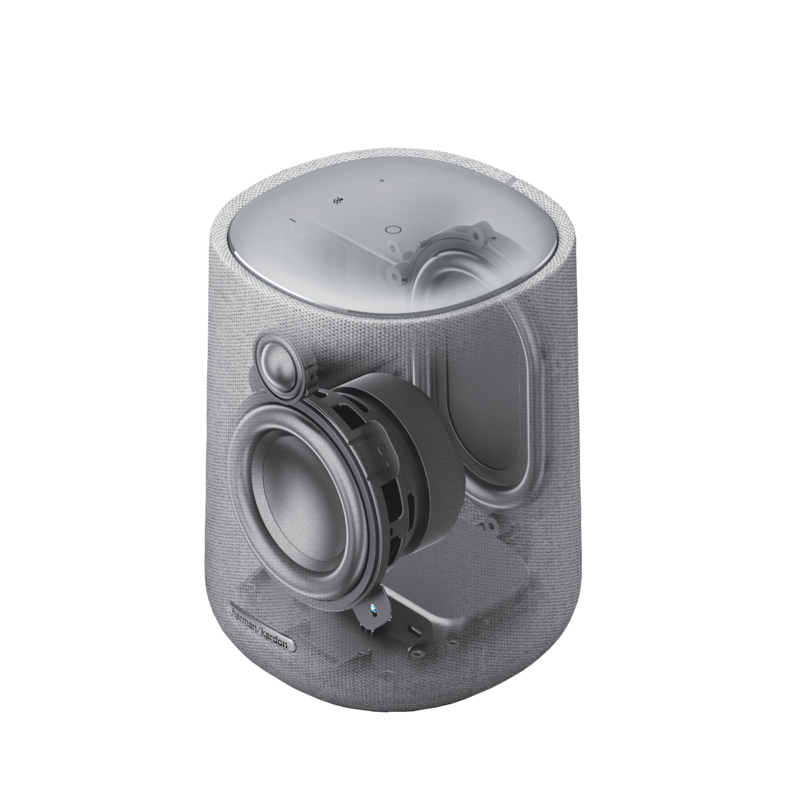 Harman Kardon Citation ONE is rated 4.4 out of 5 by 5. Rated 5 out of 5 by Leo55 from Suveren lyd med gode tillegg Jeg fikk denne til jul og har gledet meg over den gode, velkjente Harman Kardon kvaliteten som jeg har opplevd tidligere. Er det noe jeg lurer på trykker jeg bare på knappen og får svar fra Google assistent. Rated 5 out of 5 by AlexTester from Small, powerful. Love it! I've had it for about 3 weeks now, and I'm never letting it go! The design is stunning. I've got the grey one, and it fits perfectly into our modern home. It feels very well made. The fabric is nice to the touch, the metal on top is sturdy and it's heavy. This speaker has become my go-to to listen to music at home. Even though it's small enough to fit almost anywhere, it still packs a punch! The music is really well balanced, and there's no lack of bass. I'm not loving the touch controls on top of the speaker so I just use voice commands or the Google Home app. 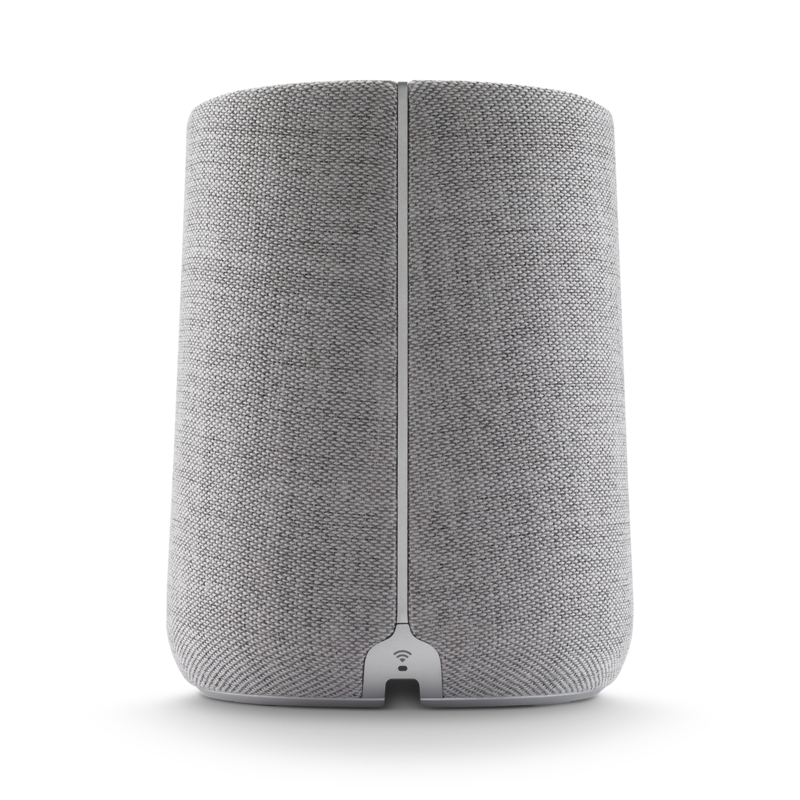 The only downfall of this speaker is also it's biggest feature, the Google Assistant. The Google Assistant can understand simple commands, so getting my tv to turn on, and start watching a show on Netflix goes smoothly. Try asking it to create an event in your calendar, with a specific date and time, and it refuses. After trying for 15 minutes I finally figured a way around it, but the whole point of the Assistant is to be simple and easy to use. So if you got to do a ton of research or asking something in 10 different phrases, then it ain't working as intended. So to summon this review up; The speaker itself is amazing, and well worth every dime! Google Assistant is far from perfect, and sometimes downright annoying to use. But the future looks bright though, it's frequently updated and with the updates comes more stability and features! Therefore I'm still going to give the speaker an Excellent rating. Rated 4 out of 5 by And Kuch from Amazing sound! Amazing sound for such a small speaker,however the only downside would be Google assistant is not as responsive as Google home max. Rated 4 out of 5 by Thomas T from Great looks! I have had this for 2 weeks now and it has become a part of our home, even my girlfriend (how doesnt like gadgets & tech) appreciates this speaker and its functionalities. I really like how it looks, and the gray color matches my couch perfect. 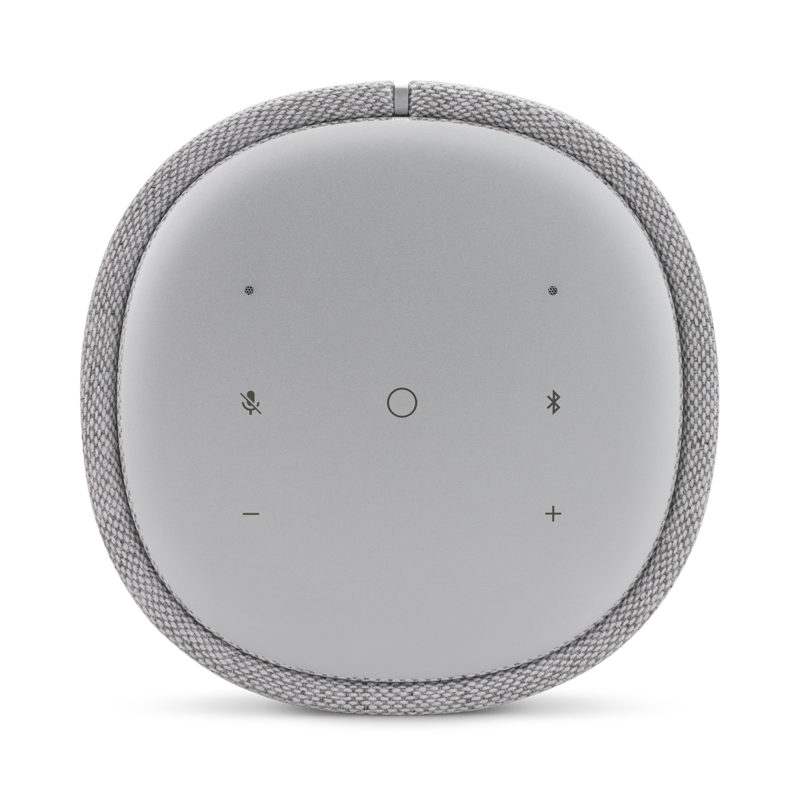 But the size of the citation ONE is a bit small for my living room, so I use it in the kitchen as a smart radio, and I am still able to use the smart features of the speaker. The installation was really easy with the google home app, and I have now integrated the TV and my lighting. So I am not able to turn the lights on and off by voice command, but I need to be in the same room since I have only one citation, yet As a kitchen or bedroom speaker it sounds well and have rich sound even on low volume. I really appreciate the ability to play radio directly from the speaker, not needing to use a external device. Rated 4 out of 5 by Watnegutten from Good alternative to Google Home I've been able to test his speaker for a couple of weeks. It does a good job as a Google assistant, just as you would expect from any speaker that carries that with it. I do like the design of this better than the ones from Google though, and the sound quality is a whole lot better in this one. Hi, i bought the Citation One and have trouble setting up TuneIn radio. ( I have successfully connected to Spotify). TuneIn is not listed as an available music service in Google Home. The 4 options i have: YouTube Music,Google Play,Spotify, No Default !! Hi.i just bought HK C1 from refurbished I was really pleased but it last only one day. I cannot get WiFi to work on this device &amp; lights just blink. Pressed reset button for 5sec several times and it's just doesn't work. Hello, As your question requires troubleshooting by our Product Specialists, we invite you to contact the Harman Customer Support team by telephone, email or chat in order to receive direct assistance. Please see https://uk.harmanaudio.com/support-contact.html#ns for further details.&nbsp; Thank you. Hi. 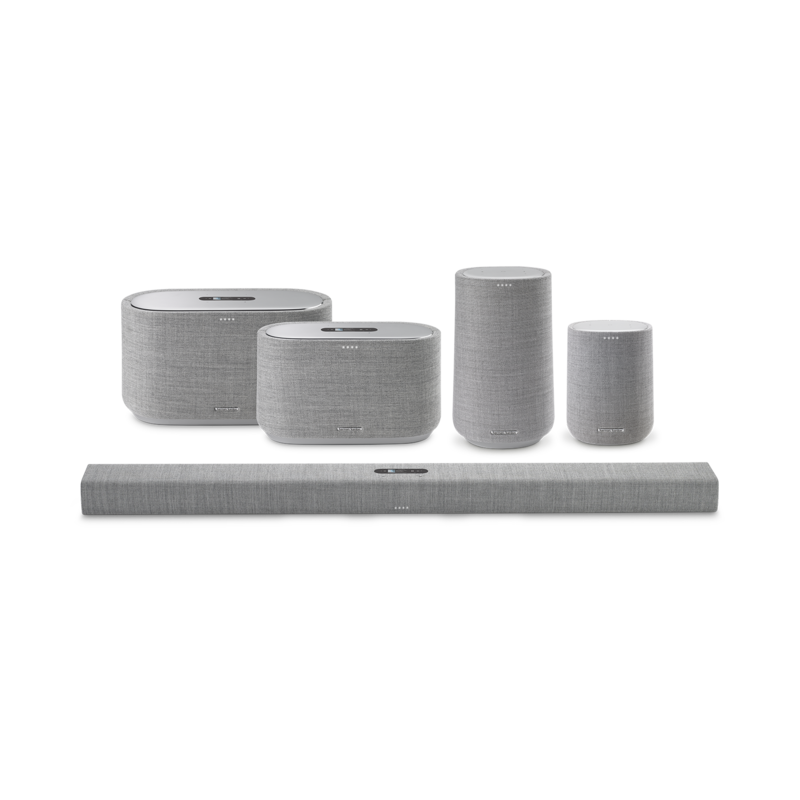 I just bought two citation 1 speakers, and one citation bar, my question is simple, can i use the bar and two citation 1 speakers as (satellit) speakers when you are watching for example a movie? Two&nbsp;HK Citation One speakers can be hooked up with the Citation Bar to simulate a 5.0 channel experience, assuming the movie can send out the corresponding signal. I have a little question. recently I've had a small issue i would rather solve. Every morning in the past week my citation one tell me to &quot;hold on while i connect to wi-fi&quot; a few seconds later it works great all day.how come? Thank you for your question. We would like to work with you to further support you, you may contact the Harman Customer Support team by telephone, email or chat in order to receive direct assistance. Please see https://uk.jbl.com/support-product.html for further details. Thank you. Same experience like PDAA. Paired as stereo but only dual mono as result. After mailing for two weeks with the support team the final answer was &quot;as long we cannot reproduce it, we cannot help&quot;. It's very disappointing. Sometimes, at random it seems, it stops listening to my &quot;Hey/Ok Google command&quot;. My Google mini speaker that is in the other room reacts every time as I am trying to command the Citation. If I press mute/unmute mic it fixes the problem. Whats wrong? Thank you for your question. We would like to work with you to further support you, you may contact the Harman Customer Support team by telephone, email or chat in order to receive direct assistance. Please see&nbsp;https://uk.jbl.com/support-product.html&nbsp;for further details. Thank you. 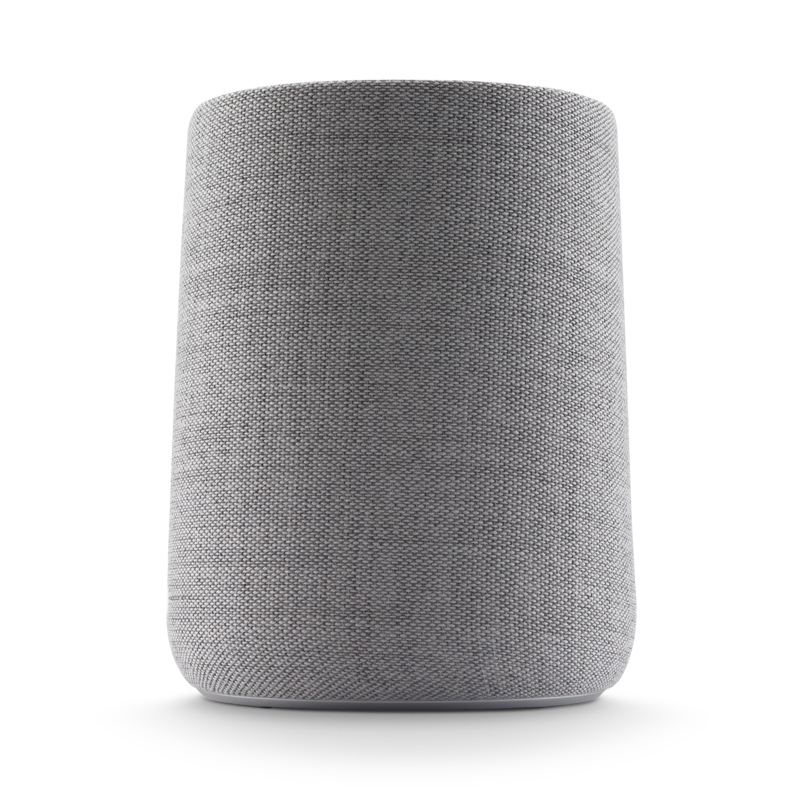 It responds to everyone and you can set it up to recognize an individual voice though the Google home app so account related requests would require that individual's voice. I am using this speaker to turn on/off my lights.After about ten minutes in standby it doesn't take the hey Google command,i have to turn off and on the microphone to start it up again.What is wrong? As your question requires troubleshooting by our Product Specialists, we invite you to contact the Harman Customer Support team by telephone, email or chat in order to receive direct assistance. Please see https://www.harmankardon.co.uk/support-contact.html for further details. Thank you.